Here we are again, with a new Blue Blood look of the week. This week we have a B.D. 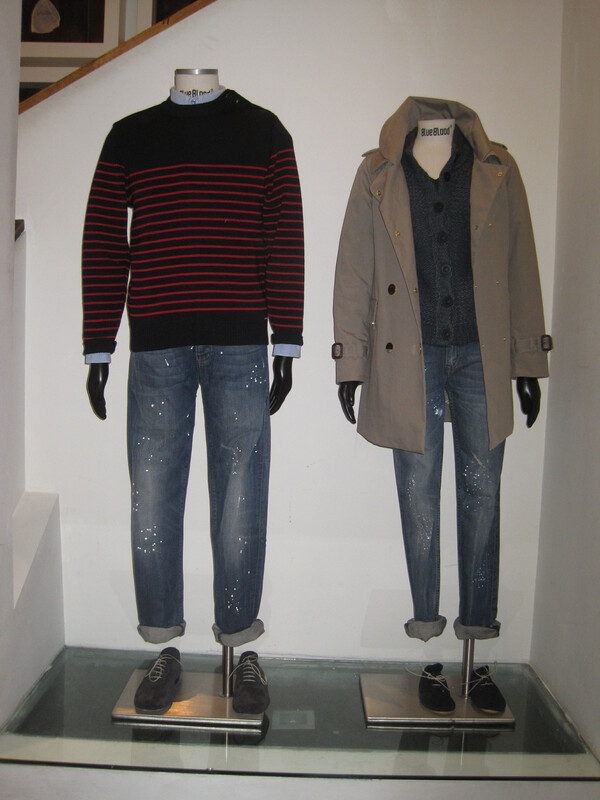 Baggies shirt combined with a Blue Blood jumper on a Blue Blood denim for men, combined with Converse Jack Purcell shoes. 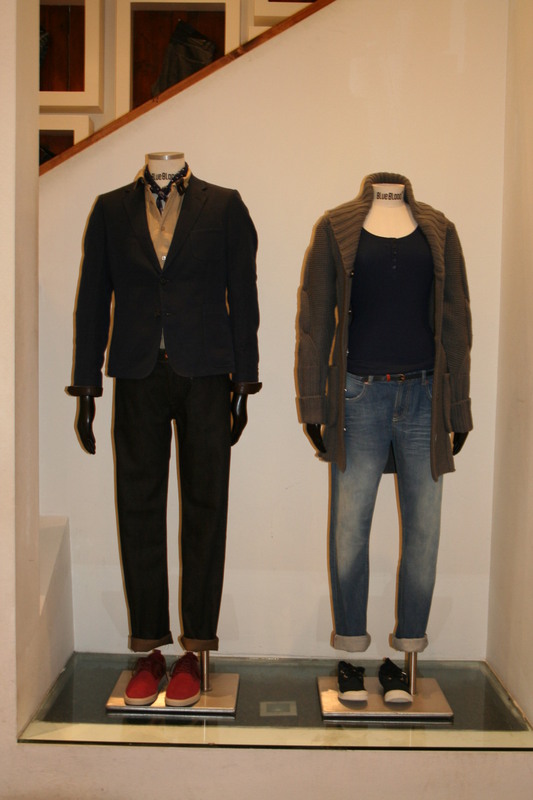 For her we have a top by Saint James with a Blue Blood denim and a nice warm coat by Sessun. We chose to complete the look with Mou boots. Here we are again, with a new Blue Blood look of the week. 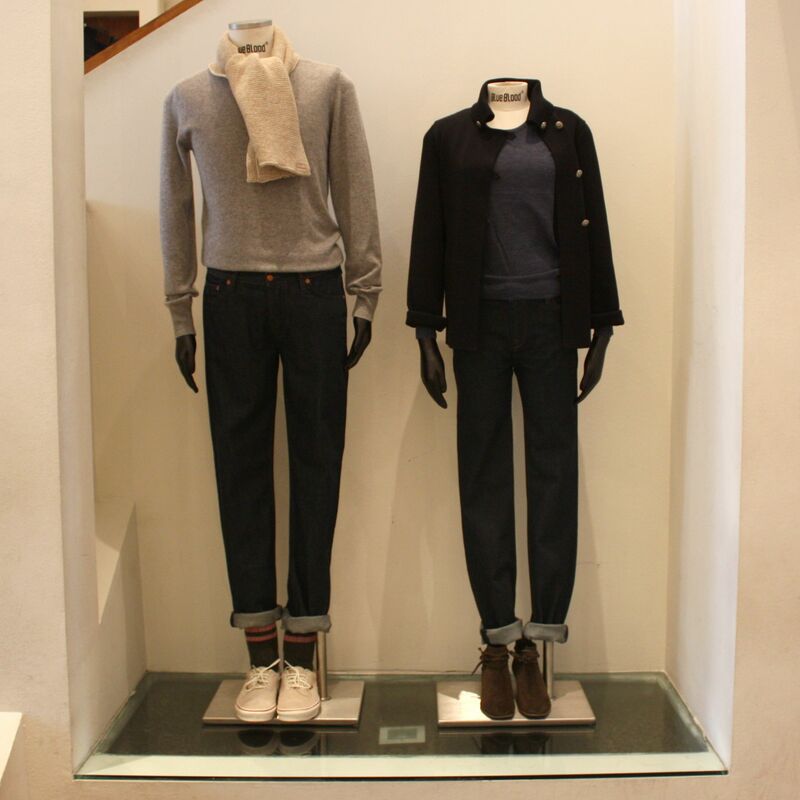 This week we have a total Blue Blood look for men combined with Clae. 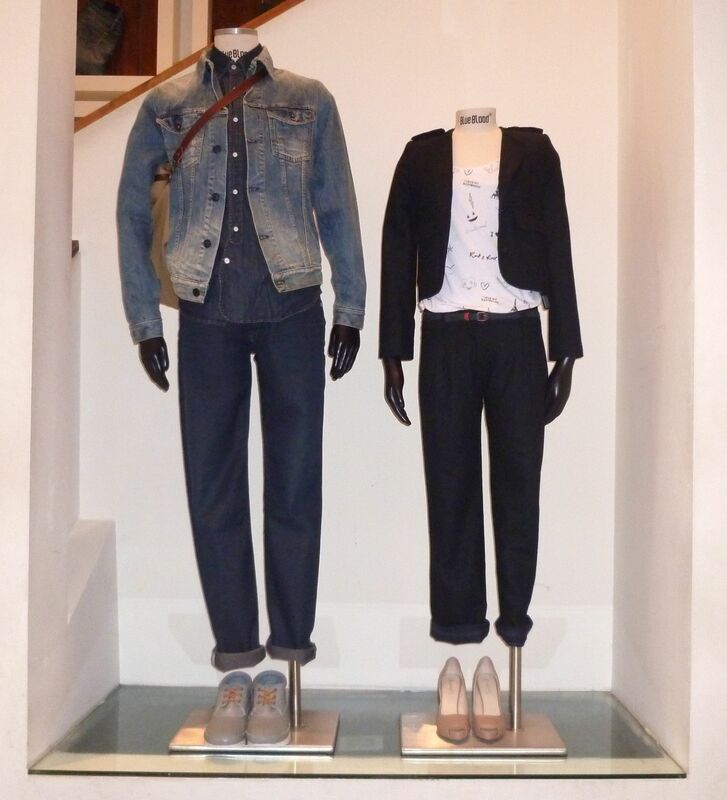 For her we have a top and cardigan by Anecdote with a Blue Blood denim and a belt by Sessun. 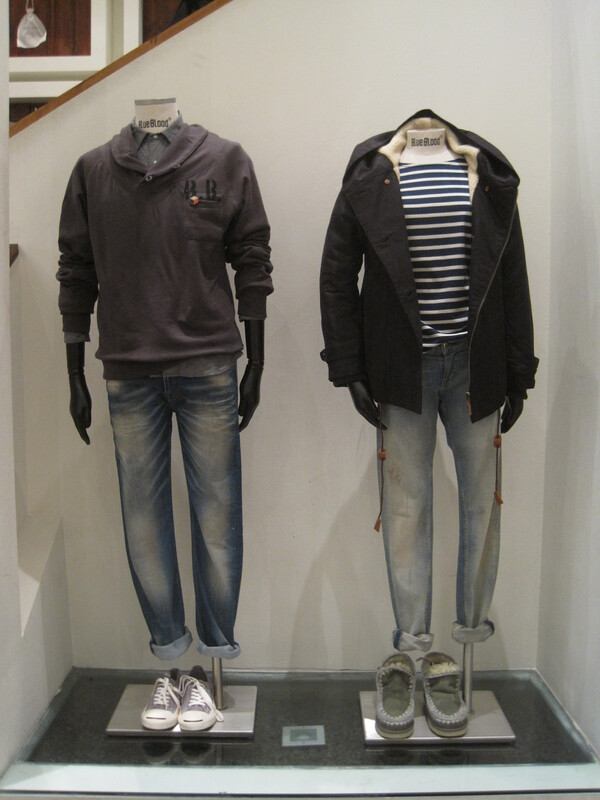 We chose to complete the look with Bensimon shoes. Here we are again, with a new Blue Blood look of the week. For him we have a denim shirt with a denim jacket both by Blue Blood on top. This combined with a nice pair of Blue Blood denim and Gourmet’s Quadici sneakers (which we told you about last week). 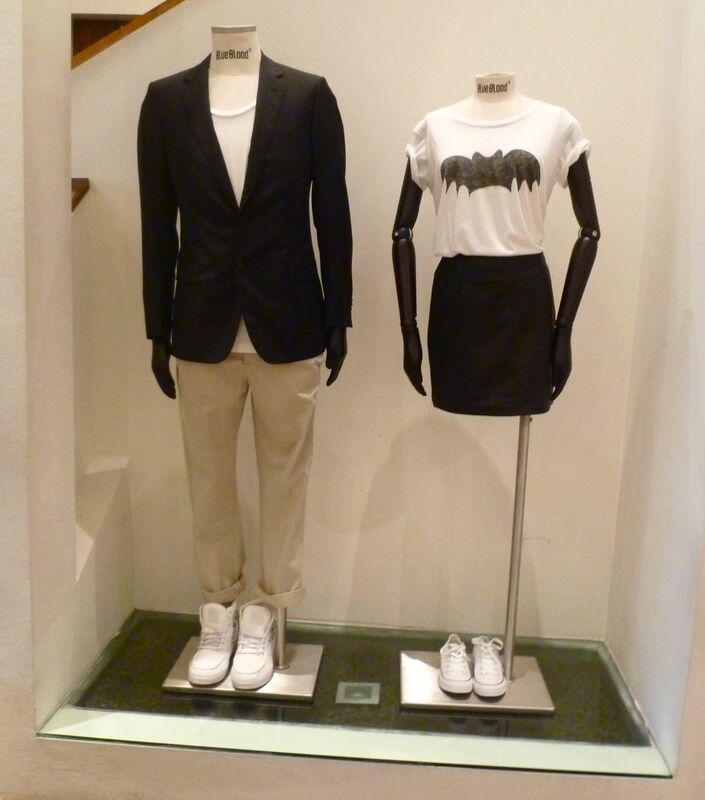 For her we have a white with black print Tee by Blue Blood and a black wool jacket by Sessun. The pants is the same wool as the jacket combined with a thin black leather belt, both by Sessun. The shoes are showpieces and not for sale.